Cheese Bomb is Bomb#1 x Bomb#2 x Cheese. This live resin literally taste like a sweet skunky cheese. 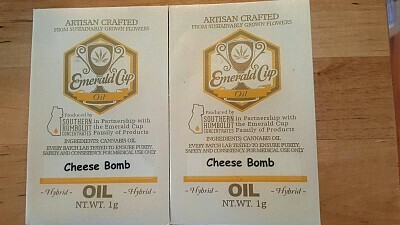 Produced by Southern Humboldt Concentrates in collaboration with Emerald Cup.